When you think of the Strategic Air Command or SAC Museum, you probably think of the large aircraft that tells the history of the air command over the years. But behind closed door, a series of libraries keep thousands of items of military, aerospace and air command history. The museum's walking encyclopedia is Mark Strehle. He is one of two curators at the museum. 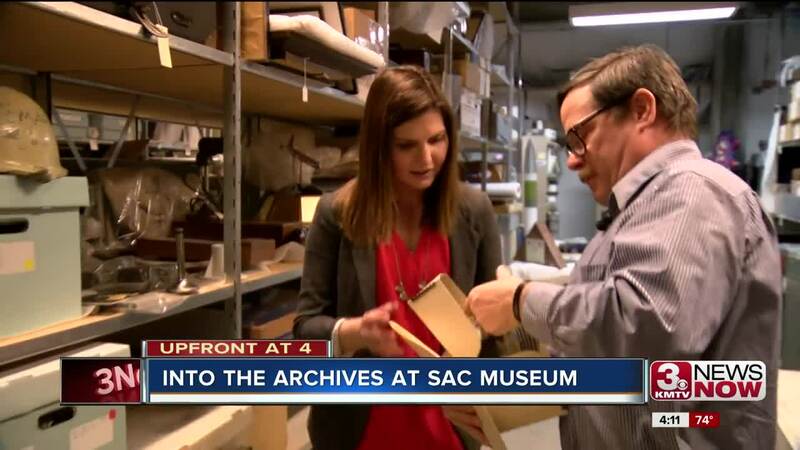 SAC has more than 24,000 artifacts but only a small percentage make it on the floor for display. From big items to the more meaningful ones troops carried with them, it all provides a better understanding of the past. An understanding that becomes more vivid with the tangible. "When you can touch or see a piece of history it becomes more real and tells the human story," Strehle said. The tours are free with admission.